When it comes to Christmas shopping there’s a myriad of approaches. From the leave-it-to-last-minute shopper who rushes out on Christmas Eve, to the organised Aunt who has everything bought and wrapped before December 1st. Regardless of where you sit on the spectrum there’s one universal truth; making Christmas shopping more efficient is top on many of our lists. Each year Christmas gets bigger, more expensive and more frenetic. Unless you’re a personal assistant that is. Working with some of the top PAs in the world at ibLE, and having spent many years as PAs and EAs ourselves, it turns out there’s quite a knack to wrapping the whole process up nicely. The more time you have to prepare, the better prepared you are. It’s a no brainer right? But what PAs know really well, is that planning ahead is a secret weapon for getting exclusive presents done and dusted, to saving money and having more time to strategise presents, which is where the real saving is. Even if you have a large budget to work with, it’s still worth creating a budget template so you can stay on top of what you’ve bought and what you need to buy. We like this budget planner or even just a regular Google Sheet can work wonders. Most online retail stores will ramp up shipping costs the closer it gets to Christmas, as they begin to feel the heavy demand for next-week, and next-day delivery. 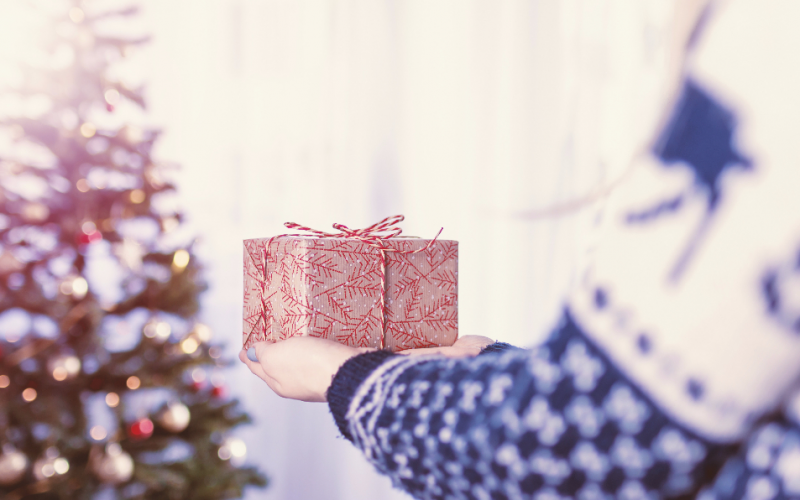 At the same time, the closer you get to Christmas, the more likely you are to need the express option, whereas buying in advance means you can have a laissez faire attitude to when things arrive. For shopping online, think department stores and online websites that have various departments, as they can often be the portal for multiple family members, which in turn will save you money on bulk ordering. (Plus ensuring you don’t have to wait in every day for a different delivery!). Stores such as Selfridges offer an unlimited next-day delivery option for £9.99. Which when you add up various next-day delivery costs at £5.99 each, can be quite the saving. You can also use tools such as Camelcamelcamel to track prices on sites such as Amazon, so that you get the best deal in the preceding months, on stuff you were going to buy anyway. When you’ve done your research, you’ll know that the shopping season is permeated with specific days where you can save money if you order within a specific time frame. One of these is Black Friday, the Friday after Thanksgiving (23rd November) where a ton of stores offer discounts and sales across the board. Last year, Amazon offered huge discounts on smartphones and TVs, fashion sites such as ASOS offered 30% off everything and even home and department stores could be seen sporting in-store and online sales. UK site Money Supermarket offers an alert service to help you see where to save across the holiday. Sites like Parcel London (whose motto is “we get the gifts, you get the glory” – love it) allow you to create a bespoke gift by picking different items and adding them to a gift box. What we love about Parcel is that it isn’t your standard bath salts and prosecco gift box, the items are rare and choosing what goes in reeks of effort (even if it did only take you a few clicks). In store, don’t be afraid to accept offers of help either. Free gift wrapping is a time saver and department store concierges can often help you to traverse multiple floors in one go. What many don’t realise is that there’s also leverage in store pricing. Taking a leaf out of The Apprentice’s book it can be worth asking a helpful store assistant, or store manager, if there’s anything they can do, as a 5 or 10% discount will make a difference in the long run. Online, it’s worth Googling your store of choice to see if there’s a promo code present, which takes little time and almost always trumps an unexpected discount. Of course the best way to get all of your Christmas shopping done with ease is to hire an ibLE PA. Whether it frees you up to spend more time walking the store floors to find that perfect gift, or you get someone more experienced to source your gifts so that you can concentrate on those December deadlines, it will save, rather than spend, your money. Panic buying comes at a premium after all. Previous Post:Could you be a famous PA?